She thought her dentures were looking a bit dingy. So she soaked them overnight. In bleach. In the morning, those artificial teeth were white alright. And so were the artificial gums. So she painted the gums with Mercurochrome. 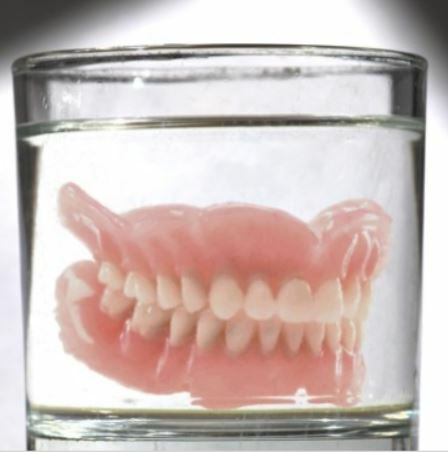 My dad remembered this [anonymous] aunt’s teeth as downright frightening.